Paul Keres. The theory of chess openings. In two books. Open debuts. Tallinn Estonian state. ed. 1949, 1952. 288 p. Before applying the novelty in the opening, make sure you did not write about it. Keres, half a century ago! In depth study, this work has no equal. 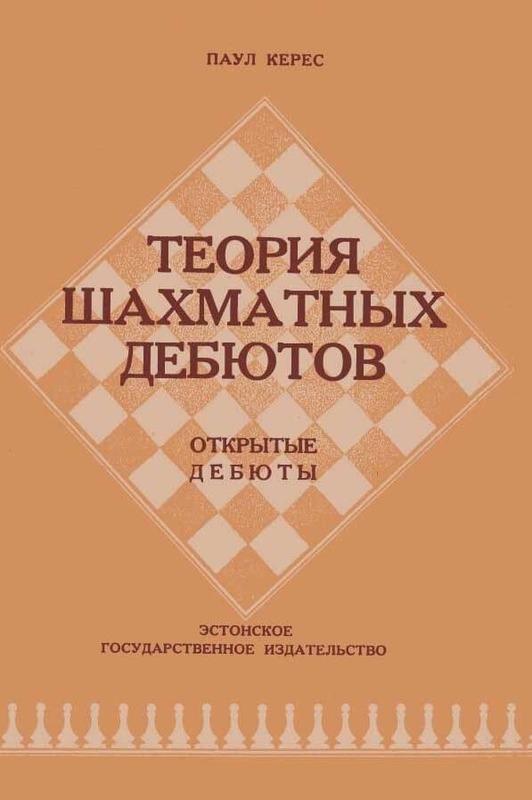 Materials offered in the book are systematic sampling, and of course, a critical treatment of the vast material that the theory and practice of chess found mostly in the last half century, and which, taken together, form what is generally accepted to call "opening theory." Paul Petrovich Keres (birth, Paul Keres, Estonian. 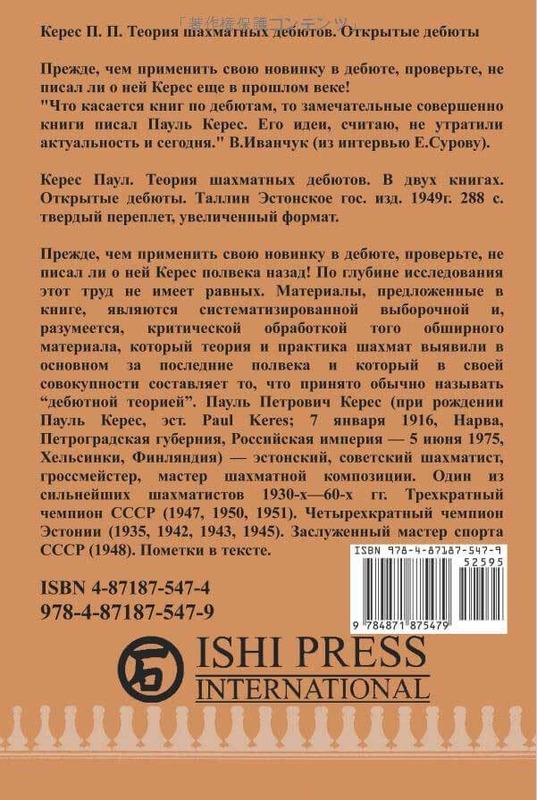 Paul Keres; January 7, 1916, Narva, Petrograd Province, Russian Empire - June 5, 1975, Helsinki, Finland) - Estonian, Soviet chess grandmaster, master chess composition. One of the strongest players of the 1930's and 60's. Three-time champion of the USSR (1947, 1950, 1951). Four-time champion of Estonia (1935, 1942, 1943, 1945). Honored Master of Sports of the USSR (1948).